Here we are in mid-September already! As I look out the window this morning and watch the rain pour down I wonder what has happened to summer! 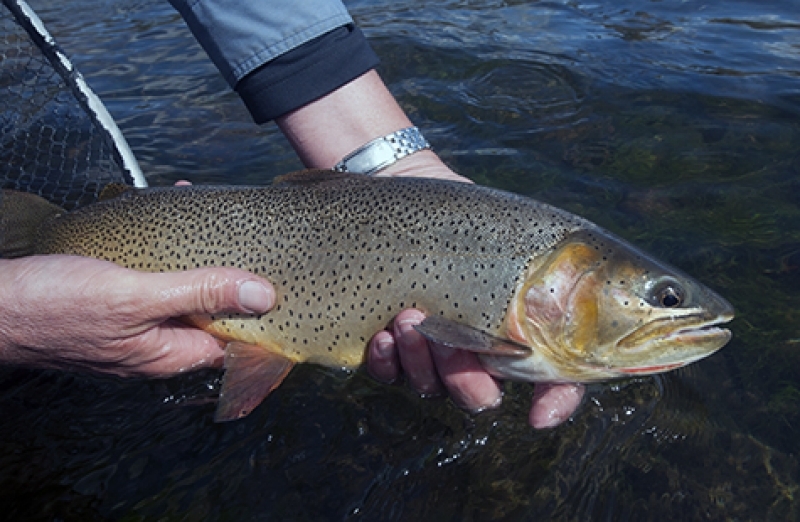 Morning temps have been in the mid-thirties, bull elk are bugling and the fish are eating. I love this time of the year! You all may be aware that the Jackson Hole one Fly contest was last weekend. 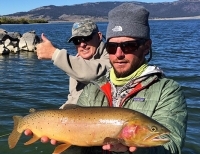 Congratulations to Elden Berrett of Henrys fork Anglers. Elden received Guide of the year and we are very proud of him. Congrats to Ed Emory as well for the overall points winner. If you’re planning on coming up to the area in the next little while, make sure you’re prepared for all weather conditions. Layers are the key. It’s easy to shed clothing throughout the day as temps come up. Being comfortable as well as safe makes all the difference for a successful day on the water. Henrys Fork Anglers is also having an amazing sale so stop by and take advantage of some great deals! The flow out of the Island Park Dam has been reduced to 218 cfs making floating in a drift boat almost impossible. This makes the wade fishing as good as it gets. The fishing has really picked up this week. Fish seem to be keying on rubber legs. A black #8 Rubber Legs has been picking off lots of fish. I would not be afraid to fish a red San Juan worm underneath the Rubber Legs. Make sure your fishing along the bottom. Streamers have also been catching some larger fish. A little trick I like to do in the box this time of year is to fish a Copper Zonker underneath a bobber. The trick is to dead drift your streamer as close to the bottom as you can and make sure you have a good grip on your fly rod! It’s time for Baetis! The nasty weather and Blue Wing Olives go hand in hand. Fishing a #18 blue wing hackle stacker in the ranch right after a down pour can be very productive. The Tricos are on their way out for the year but you may still find a few. Look for Mahogany Duns as the temps rise throughout the day. The caddis in the evenings have also started to die down but I have noticed a few October Caddis here and there. Of course don’t forget hoppers. The fishing in the Ranch will just keep getting better as we head into fall and the crowds are gone. The Ranch is a magical place all the time but in my opinion fall is top notch and there is never a problem finding a place to fish. Warm River to Ashton has fished well over the summer and is getting better with cooler night time temperatures. We are starting to see some larger fish being caught on this stretch. Streamers have accounted for most of these larger fish. Mikes Olive Wool Head Sculpin and the Articulated Bling have been producing very well. Also small nymphs like a #18 red or brown Zebra Midge have been fishing very well. We should start to see some epic Baetis hatches on the lower river. The Chester back water and the Fun Farm can be super productive this time of the year. The Teton has started to get some water back in it! The flows are up a bit and the fishing has picked up. A #10 Purple Chubby with a #16 or #18 Flash Back Pheasant Tail has been fooling lots of fish on the Teton. Also the Streamer Fishing on the Teton has been excellent! Our guide clients have landed some lunker trout during the past week. The Brown Trout on the South Fork are always a month or two behind the Browns on the Henrys Fork. I believe that it may be a water temperature thing. Look for Brown Trout on the South Fork getting active more towards Halloween. However B.W.Os are hatching and the Cutties will be back in the riffles eating them like popcorn! As flows decrease the South Fork becomes more wader friendly but as always use caution on this river. The Maddy has been outstanding! Large Trout still eating Hoppers along the banks and of course the Hopper Dropper technique has been great! Large Brown Trout are definitely on the move in the Madison. Look For these fishing moving out of Hebgen and heading into the park. It’s a great time of the year to see the fish of a life time! Gulper fishing has slowed on Hebgen as the trout have started moving into the Madison River and other tributaries for their fall spawning migration. The hottest fishing has been Henry’s Lake. For the most part this world renowned lake has been a disappointment this season but that has changed. 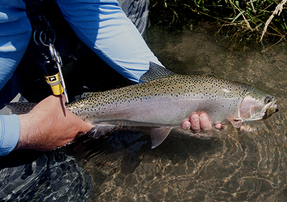 September and October almost always produce the best fishing of the year. Use leeches and wooly buggers near the mouths of the creeks and springs. The fishing is also starting to pick up at the Henry’s Lake State Park on the southeast corner of the lake. 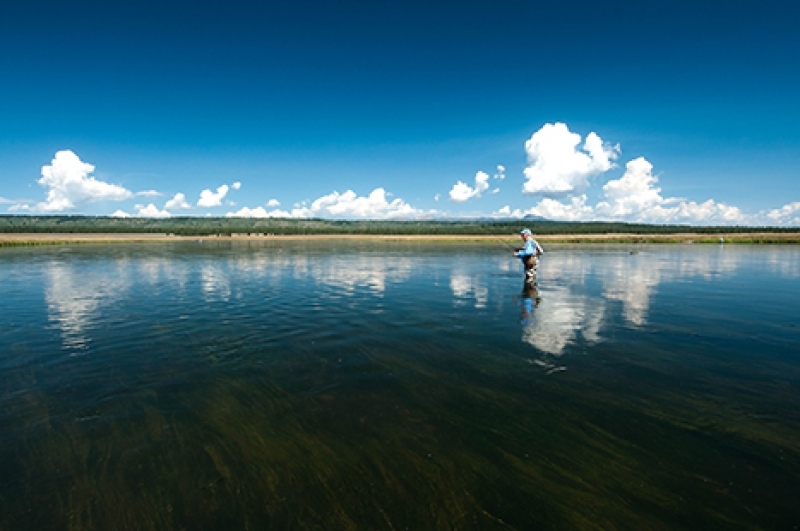 Like other areas, most of the water in Yellowstone Park is fishing well and should continue to do so well into the autumn. 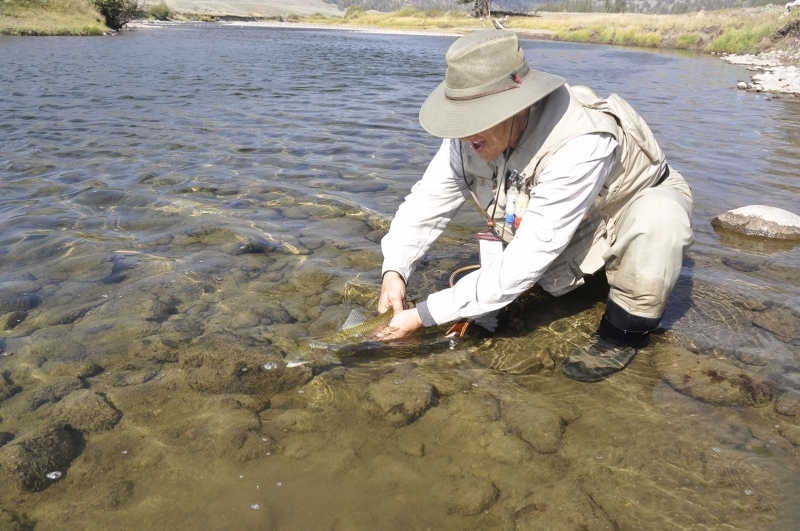 You can find trout rising on the Firehole to Blue Winged Olives. Bigger drakes are starting to show up on the Lamar River and Slough Creek. 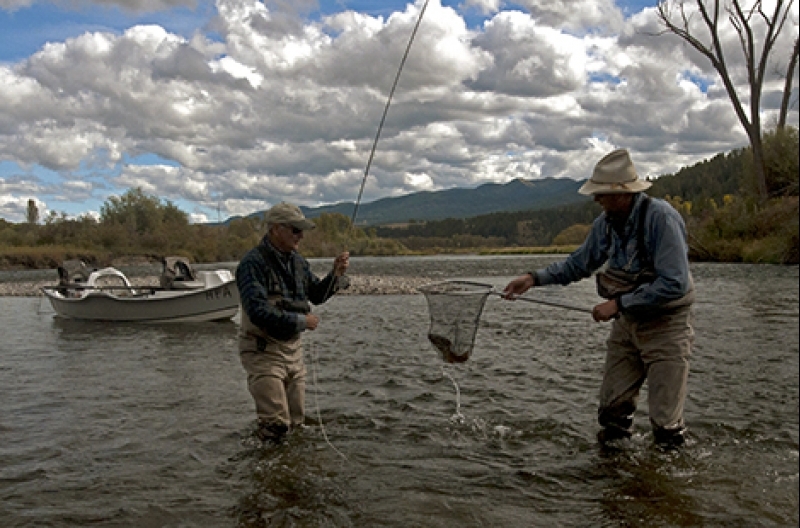 The Yellowstone River is a good option to hunt for large cutthroats. You won’t find many but you have a good chance to hook into a two foot trout.